Coupling graphene with other layered materials can lead to intelligent smart devices. CREDIT: AMBER, Trinity College Dublin. Printed transistors fabricated completely from layered materials—this is the innovative study by Graphene Flagship research team from AMBER at Trinity College Dublin. The outcomes of the study were published in the April 7th 2017 issue of the journal Science and look promising enough to inexpensively print a wide array of electronic devices from LEDs to solar cells that find applications in interactive smart food and drug labels, next-generation bank note security and e-passports. The research team is headed by Professor Jonathan Coleman from AMBER—the Science Foundation Ireland-funded materials science research centre hosted in Trinity College Dublin—and works in cooperation with the teams of Professor Georg Duesberg from AMBER and Professor Laurens Siebbeles from TU Delft, Netherlands. The researchers applied standard printing methods for fusing graphene flakes taken as the electrodes with other layered materials, boron nitride and tungsten diselenide as the separator and channel to fabricate a working transistor formed of all-layered, all-printed materials. Here, the separator and channel are two significant parts of a transistor. The thickness of all the flakes is only few nanometres. However, their width is a few hundred nanometres. The potential of the flakes made of different layered materials to possess electronic properties that can be semiconducting (tungsten diselenide), insulating (boron nitride), or conducting (graphene) is the crucial factor that helps them to develop the building blocks of electronics. 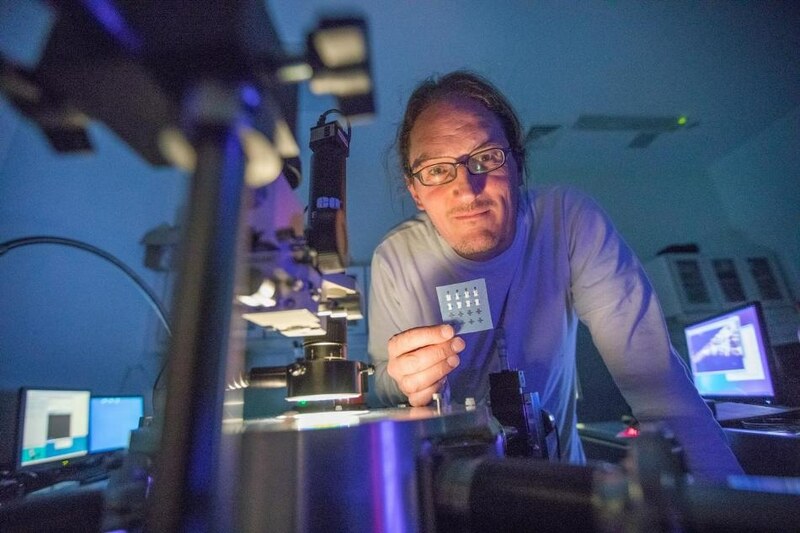 Although these printed layered devices do not have a performance that is comparable with advanced transistors, the researchers consider that the performance of their printed TFTs can be enhanced far more than at present. In the future, printed devices will be incorporated into even the most mundane objects such as labels, posters and packaging. Printed electronic circuitry will allow consumer products to gather, process, display and transmit information: for example, milk cartons will send messages to your phone warning that the milk is about to go out-of-date. We believe that layered materials can compete with the materials currently used for printed electronics. The entire layered materials were printed by using inks produced by means of the liquid exfoliation technique developed earlier by Professor Coleman and previously licensed. The usage of liquid processing methods for producing the layered materials inks is specifically favorable because it generates greater quantities of high-quality layered materials, thus aiding in the low-cost printing of circuitry.